The amazing premium brand products are naturally inspired ph balancing, and scientifically tested. By integrating the most beneficial botanical ingredients from nature with the principle of green chemistry. Michelle will carry out a consultation during your facial deciding which skincare routine is the best range for you to deliver fantastic results. 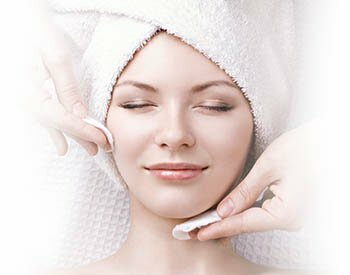 All facials are unisex which include Cleanse, tone, exfoliation, aromatic pressure point facial massage to help regenerate the skins cellular level and increase the collagen production finished with a purifying face masque. While you have your masque on you will have relaxing soothing neck and shoulder massage and then a choice between an innovating Indian head scalp massage or a sensual hand massage to really unwind in complete bliss! The facial is then complete with the required facial serum and moisturizer leaving your skin the best it’s ever been! Arbonne was developed in a small village in Switzerland back 1975 by Peter Morck who had an incredible vision to produce the finest botanical based products, these products are well known for being pure, safe and beneficial because they truly are! Peter Morck believed greatly that these products should be at the highest quality but to do so meant distributing through a team of consultants, that way he was able to reinvest more research and development that makes the products as unique as they are compared to most brands and to continue improving on quality and effectiveness that Arbonne is renowned for. 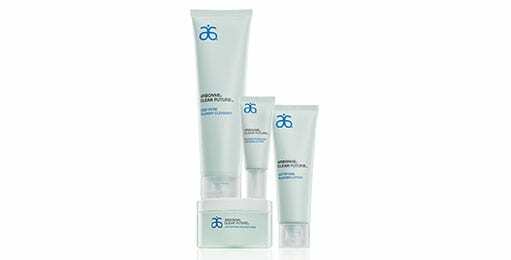 All products that are used in Michelle’s facials can be purchased from the online Arbonne shop *20% discount available with preferred client option with a free product if spending over £120 on the first order. This anti-aging facial is clinically proven to visibly reduce fine lines in 24hrs instantly enhancing the skins firmness, elasticity and texture through moisturisation to reveal healthy looking skin. Combined with peptides and botanicals that provide clinically tested anti-aging benefits, your skin will look truly rejuvenated and youthful. This facial is formulated to improve acne and blemish prone skin. With the use of salicylic acid to penetrate and draw out impurities will help to reduce acne blemishes, redness and inflammation. With the use of a regular skin care regime you will get faster noticeable results and finally prevent blemishes from ever coming back. This fresh cell technology facial will give you an ideal basic skin care regime with the 5 fruits and vegetable botanical ingredients to help maintain radiant healthy looking skin. This facial is an excellent way to revitalize the skin, it penetrates deep into the epidemic layer, deep cleansing, hydrating and rejuvenating the skin leaving it plump and radiant! It is also tailored to each skin type and targets concerns you may have including acne, because of the anti-bacterial high frequency treatment combined with an oxygenating cream bringing the skin back to life and feeling normal again. Can anyone have electrical facials? Will I get a reaction to the products? 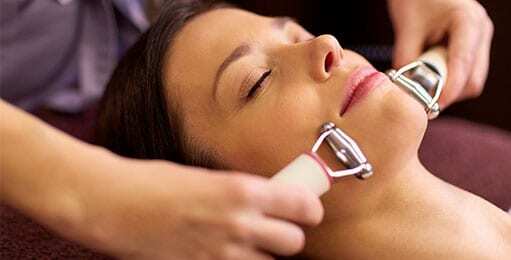 Can I have electrical facials when pregnant?